What do I do with Chad? He’s rarely engaged, he never gets his work done, and is often distracting others. If he put in half of the effort in class as he does playing video games or soccer, we would both be a lot happier. The thing is, I know he’s smart enough. How can I reach him? The teacher who said these words was clearly frustrated. She was good teacher who had dedicated her life to helping her students learn, but she couldn’t reach Chad. As a principal, I heard versions of this complaint daily. There seemed to be many students like Chad in the classrooms of my school. Students who could achieve but didn’t. And if I was honest with myself about my teaching career, I could also recall many such students in my own classes over the years. They were able to achieve, and often put forth great effort outside the classroom, but did little within its walls. The result was they did not succeed, became discipline problems and were a constant source of irritation and frustration for the teachers who tried to help them learn. I also observed an even more disturbing problem with students like Chad. Over the years of non-success at school, they became convinced that they could not learn. As one student put it to me in a moment of his own frustration: Mr. Dixon, I’m stupid— you know it, I know it and my parents know it…” That was clearly not the case, as he had many areas of accomplishment outside of class, but he profoundly believed that he was stupid inside of class. And of course, each successive teacher who worked with that student had a progressively harder time changing his mind and engaging him in class. We know that many of these students do not stay in school, and drop out as soon as they are able, reducing their chances for success in our increasingly knowledge-driven society. The reality of the existence of so many disengaged students has led me on a journey to find out why these students struggle and what practical things can be done by teachers to help them learn. This journey began when I left my principal’s role and became a student again at the University of Toronto. Over three years of research, which included reviewing recent brain research and working with thousands of students and teachers in schools, I became aware that students like Chad learn in profoundly different ways than their teachers. However, if we as teachers understand this and make some small, but important changes in our methods, we can leverage tremendous engagement and achievement with students who struggle. I would even go so far as to say we can make the classroom a joyful place for them—and us! It is clear that when dealing with struggling students, classroom learning that only addresses the intellect is not effective for them. However, when we include the body and emotions in classroom learning we can supercharge it, increasing engagement, developing passion for learning, improving cognition and memory retention and making the whole process more rewarding for the students and easier for the teacher. Yet, in many of our classrooms, the core curriculum (language, math, social studies and science) is addressed through primarily auditory methods: teachers talking to (at) students. This is sometimes supported by some visual stimulus (blackboard, pictures, overheads, computers, interactive whiteboards, etc. ), but there is little place for the body in this type of teaching. Music, art drama, phys-ed, outdoor education and, of course, recess are the places where students are invited to use their whole bodies and emotions to learn. Despite some sporadic attempts at integration, however, these other areas are rarely integrated with the core curriculum. And when that does happen, these non-auditory approaches are often treated as add-ons, rather than a method of learning that is just as valid for certain students as traditional ones. But for these students, it is vital, since the lack of success in the core subjects is not due to their inability to learn those subjects; it has much more to do with the fact that those subjects are presented for a learning style that is not the strong suit for these students. Those of us who teach, sense this intuitively. Much of the work done on multiple intelligences supports this approach to learning, and there has been a sustained emphasis on “Differentiated Instruction” (D.I.) to reach students like Chad. However, for teachers, there have been few practical strategies to attain this. As one teacher put it, “I know what I have to do, but no one has told me how to do it!” What does D.I. look like in the blizzard of the classroom? An effective approach must be based in strategies that help the brain make strong neural connections—the physiological basis for all learning—while at the same time motivating the student to learn. I call this approach “KEEN Learning” because it ignites the passion to learn in students with four elements that, if included in the daily classroom instruction, can have a profound effect on student engagement and cognition—especially for boys. It contains four elements. 1. 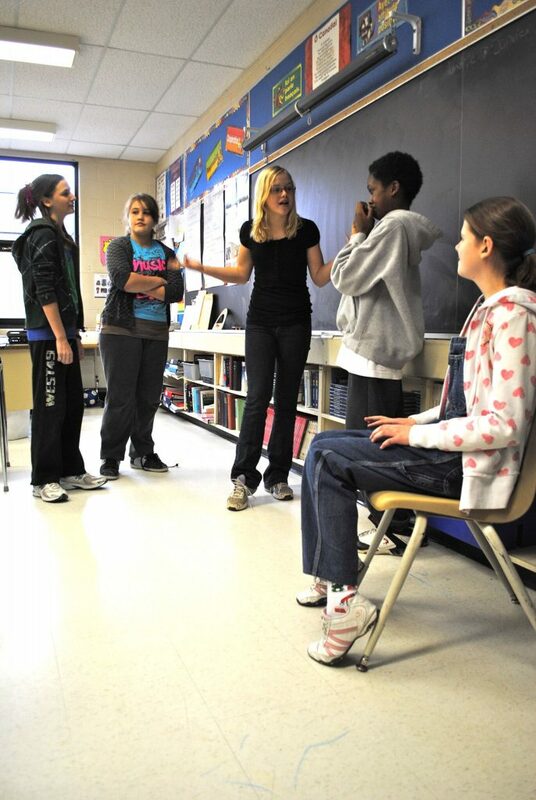 Kinesthetics (moving for meaning): Students who struggle in class often have a hard time sitting still. When they are allowed to move, their natural learning style can be used to leverage deeper understanding. Recent brain research reveals that the same parts of the brain are often used for both movement and memory. Cognition and retention of classroom material is aided by the “knowing” that a kinesthetic learner gets by using the body to represent that material. They now have a cognitive peg on which to hang their learning. 2. Endorphinal Release (playing for mastery): Play allows for the individual to have greater control over his or her environment and take non-threatening risks in exchange for the excitement and stimulation that comes from the play. The enjoyment of play can cause chemical emotional reactions in the brain that affect the learner and cause greater attachment while at the same time causing the brain to work harder in an attempt to gain mastery of the game being played. 3. Experiential Perspective-taking (getting INTO the learning): Those students who learn experientially long to understand by using their whole being. The imagination can be used effectively. To do this, allow participants to pretend to be other than what they are in reality. When a child imaginatively “becomes” the hypotenuse of a right triangle, he is given a unique perspective that uses his imagination to experience what it means to be such a thing. His brain now has another set of connections that support the neural circuitry related to triangles. 4. Narrative (creating a story): We know that learning is most effective when it has meaning for the learner, but we have discovered how difficult it is for the teacher to create meaning for every child from the front of the classroom. It can be done, however, when each child can—in concert with classmates—create a story about the material that makes sense to them. Because narrative is such a powerful form of learning, this story has far more resonance with students and is more likely to be retained than anything the teacher could create. When these elements are used in a teaching strategy, not only do students get excited about learning, they gain deeper insights into curriculum material and have the ability to better recall and manipulate the information, concepts and skills being taught. I can confidently assert from my research and experience with teachers and students in classrooms over the past few years that if you use teaching strategies which combine KEEN Learning with the curriculum, you will have success with students like Chad. I would encourage you to try incorporating these them into your own teaching practice. If you would like to see video footage of how they work and download some free examples, you can join our KEEN Learning Community at www.keenforlearning.org/Canadianteacher.html. The members of our community are discovering that this approach is tremendously effective in helping struggling learners succeed in the classroom because, as professionals, they are more effective (and happier!) when teaching them. Why not join us in helping make every student keen to learn? Dr. Edmond J. Dixon is an educator with 28 years experience as a teacher, administrator, writer, researcher and speaker. His book KEEN For Learning: Why Some Kids Don’t Succeed in the Classroom-and What We Can Do About It is the result of research at the University Toronto and work with more than 50,000 students and teachers. He currently coordinates professional development for teachers and administrators in Canada and internationally. His newest book, Where the Boys Are: Engaging Males in Classroom Learning will be published in the fall. More information can be found at www.keenforlearning.org.